You might have heard the word winterizer before. It's a term that has been tossed around lawn care circles for about 30 years. Most of the time, it is something you more in the North than you do in the lower southern states. 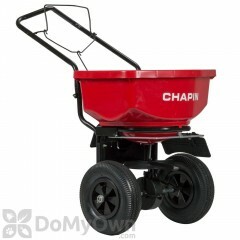 In a nutshell, it is a late fall fertilizer designed to help lawns store more food to get through the winter months. This will help encourage the lawn to grow thicker and promote a deeper root system when spring rolls around. That's when you know fall really has arrived. Hands down, by far, one of my least favorite things to do in the yard. Rake up leaves. But it is important. Keep them out of the yard to keep it nice and healthy. Feels like it's been awhile since last we talked, so I figured I'd take this opportunity and just give you an update on where everything is in the yard. As for the front yard, I have not mowed our touched it in about two, two and a half weeks. So things are really starting to go dormant, not seeing a whole lot of growth there. That's going to have to be fixed eventually. Don't know what's going on there. Another project, for another time. The side yard with the Bradford Pears still looking good. Still have some good Fescue growing in here. Matter of fact I predict in about a week, I'll bust out the mower, probably one more time and give this a nice little cut. As for the back yard, we have some good Fescue still growing in and thriving really well. A lot of the weeds that were back here, as you can see up through here, through there and back in there, they're starting to discolor turn brown, yellow, all sorts of brilliant shades of purple, and die out. So they're going away, Fescue's still going strong, still looking good. 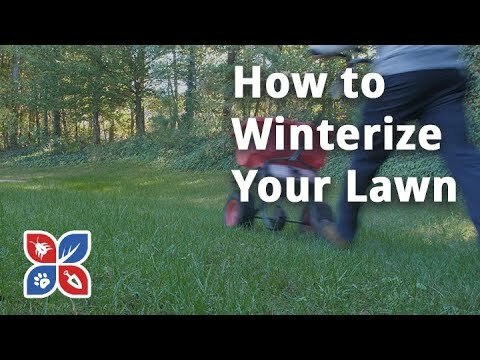 But as you already know from clicking on the tittle of this video, today's subject matter, lawn winterizer, or fertilizer, winterizer, winterizer, fertilizer. You get the idea. Fertilizer for the winter. But as usual before busting out the spreader and the bag of fertilizer, let's first go over what it is, why you want to do it, all that good stuff. So the term winterizer, what exactly is that? It's something that's been thrown around for about 30 years and it's used to sell all different types of fertilizer blends for applications in late August through late November. A lot of extension offices out there even state that this is the third most important application of fertilizer that you can put down in a cool season lawn. 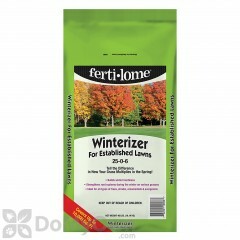 It's a late fall fertilizer to help lawns store away more food to insure winter survival. Storing that away is going to help encourage it to have a nice strong thicker growth of the actually turf and the root system come Spring time. One thing to keep in mind and it's something that our customer service staff says that people get confused on, is winterizer is not meant for fall lawn growth. That's what your early fall application is for. Not your late fall fertilizer application. So, again, winterizer is not for fall growth. 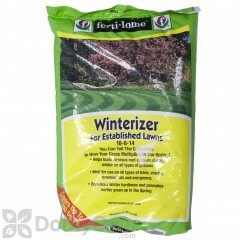 The best time to apply a winterizer in the lawn is when the grass has stopped growing in the fall time. This is when the grass is still green on top and it's still active below. So a lot of extension offices recommend for all you folks in the North with cool season lawns to apply Late November and early December. Probably one of the easiest ways to remember when to do this is, is when you actually store away your mower for the year, that's when you should bust out your spreader and put down a winterizer. Now let's touch on the most ideal winterizer for your lawn. Most winterizers are going to be Nitrogen fertilizer. And what I mean by that, the label should show mostly Nitrogen as a water soluble Nitrogen than the other elements that are typically found in most other fertilizers. The most common winterizers that are out there are going to contain a water soluble Nitrogen with urea or ammonium sulfate. Again just look at the the label of the product you are buying and see if that fits your particular needs for your lawn, and if you have any questions, you can always email the customer service staff, pick up the phone and give them a call. A winterizer will also contain small amounts of Phosphorus and Potassium, so again, just look at the product label and see what that ratio is. Late fall is also a great time to get an application of lime put down in the yard. Now we've already made a video on this, I'll link that in the description box below or you can click that "i" icon at the top of the screen. Go back and reference that video where we go more in depth on how to apply lime in the yard. Alright, enough talking for now, let's get to putting down a winterizer in this back yard. That one 20 pound bag of winterizer that I choose says that it covers 5,000 square feet. Now, my whole lawn is 6,400 square feet but the back yard and the side with the Bradford Pears really only makes up about 3,000 square feet. So, I went a little more than half the bag in the spreader and that's what I'm going to put down in the back and on the side. As usual, I got the spreader calibrated per the recommendation on the label, so, everything's set, ready to go, time for a spreading montage. That was the perfect amount for the back yard and on the side with my Bradford Pears. Done! And as usual at this point you bust out the sprinkler, water hose, turn on the sprinkler system, what ever you've got for irrigation and water that down into the yard. But, once again I timed it perfectly. I got rain setting in later today and tomorrow, so, mother nature just keeps working for me! Winterizers are perfect for cool season grasses, like Fescue and Blue Grass, but not warm season grasses like Bermuda, St. Augustine, Zoysia and Centipede. But why? Let's discuss that. So a few reasons you don't want to apply a winterizer in a warm season grass is, well, they grow in warm climates so winterizing really isn't a big issue. Warm season grasses mainly need potassium to thrive so that should be applied spring and summer instead of fall. And going back tot he conversation of a soil test, if you performed it and it shows good levels of potassium, a winterizer is not going to be needed. And if you've been applying good amounts of fertilizer through out spring and summer, it should still have plenty of nutrients to get it through the winter time, so again, winterizer application shouldn't be needed. And another reason, again, warm season grasses are going to start to go dormant at this time, so fertilizing to spur new growth, really doesn't make all that much sense. Instead for warm season grasses you should wait for late spring to early summer to feed with a fertilizer to get balanced nutrients back into the yard. 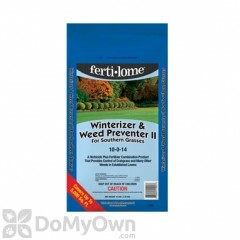 Now another thing to note about winterizers, like all other commercial fertilizers, they're designed for repeated use. It's not going to correct and put the needed nutrients back into the soil with one application. So, you should plan and realize that another application, most likely is going to be needed next season. So there you go! In a nutshell, that is winterizers for your cool season grasses. As always, I;m sure there's something that I left out, and if you have any other further questions, you can leave those in the comments section below, email the customer service staff, or pick up the phone and give us a call! If your not already, click this button to subscribe to the channel, you can click this playlist to see all of the videos in the Do My Own Lawn Care series, and click this playlist to see all the videos in the Do My Own Gardening Series! Hope this was helpful, hoped you liked the video. Hit the thumbs up if you did. And as always, thanks for watching!